Head of State, His Highness Malietoa Tanumafili II, has passed away, his private secretary Papali’i Audrey Malietoa confirmed. He was 95. “I can confirm that Malietoa passed away this evening at 6.45pm,” she told the Saturday Observer last night. Prime Minister Tuilaepa Lupesoli’ai Sa’ilele Malielegaoi joined Malietoa’s son Papalii Moli Malietoa and other relatives at the Tupua Tamasese Meaole Hospital last night, where a church service was conducted by Reverend Paulo Koria. Also there was Police Commissioner, Papali’i Lorenese Neru and a few Government officials. 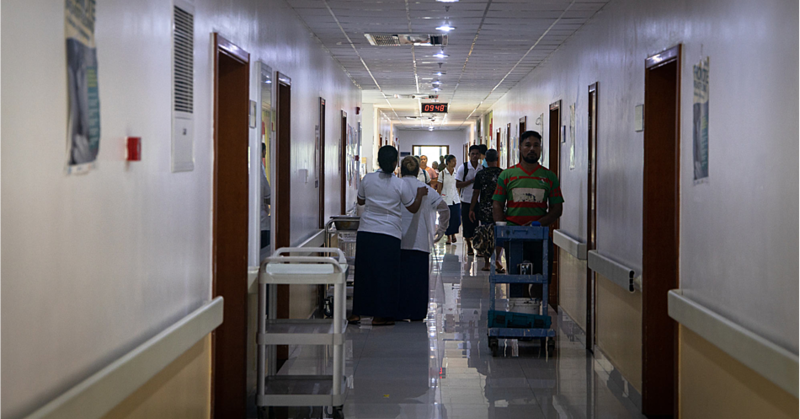 No official comment could be obtained from the hospital at press time. Sources, however, said His Highness Malietoa has been ill for a while. His Highness Malietoa celebrated his 95th birthday earlier this year. During a luncheon hosted by the Government, His Highness Malietoa was declared the oldest surviving Head of State in the world. 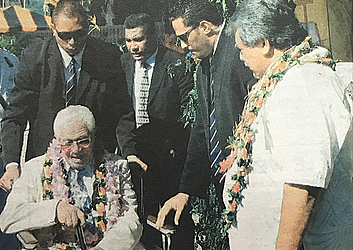 At the time, Prime Minister Tuilaepa acknowledged Malietoa’s huge contribution to Samoa’s march for independence. 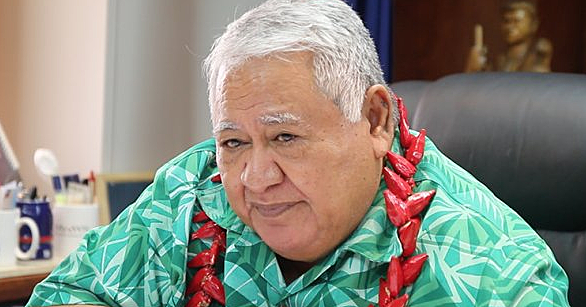 Tuilaepa described the Head of State as an excellent role model and an outstanding leader for his people. His Highness, the Head of State, has held the Malietoa matai title for 67 years. He has reigned as Head of State for 45 years, the same number of years since Samoa gained Independence. Malietoa was born on 4 January 1912. On the passing away of his father, Malietoa Tanumafili I, Anitelea Tanumafili “Tanu” he was bestowed the title Malietoa in 1939. In 1940, he was appointed Advisor on Samoan matters by the New Zealand Government. This marked the beginning of His Highness’ career and service to the people of Samoa. In 1949, Malietoa was made Chairman of the Committee preparing for Samoa’s Independence. Samoa achieved independence in 1962. His Highness was then made joint Head of State with the late Tupua Tamasese Meaole. Malietoa later became the sole Head of State when Tupua Tamasese died. His Highness Malietoa is a follower of the Baha’i Faith. He is the second royal (after Queen Marie of Romania) to be a member of that religion. The Baha’i House of Worship in Tiapapata was dedicated by him in 1984. Malietoa is regarded as the “traditional father” of both Samoas.